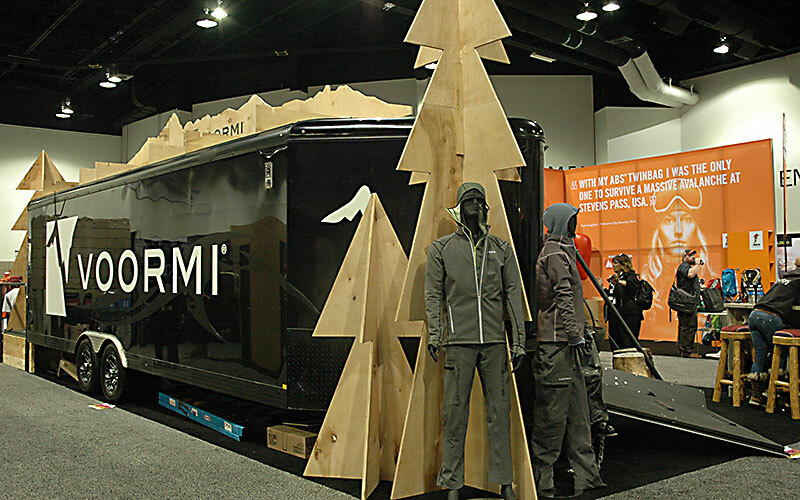 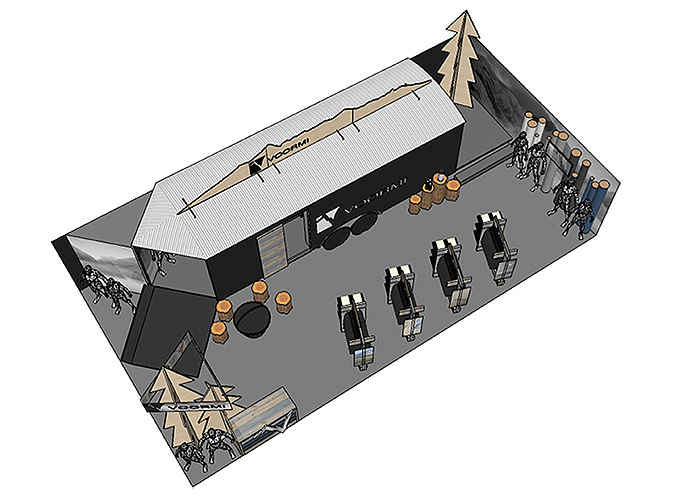 This trade show booth became a mobile pop up with the use of a 25′ sled trailer as the shell for the design. 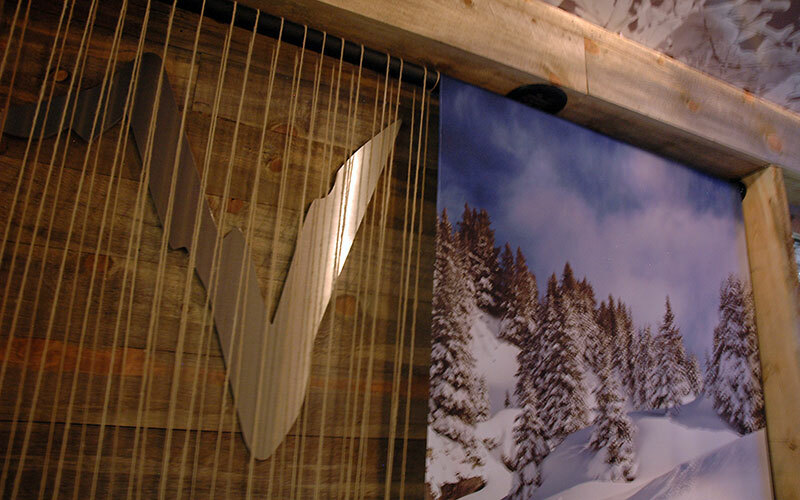 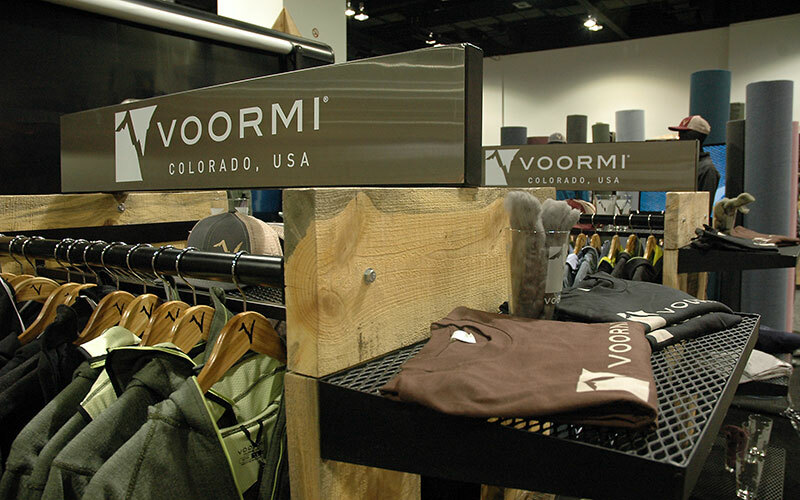 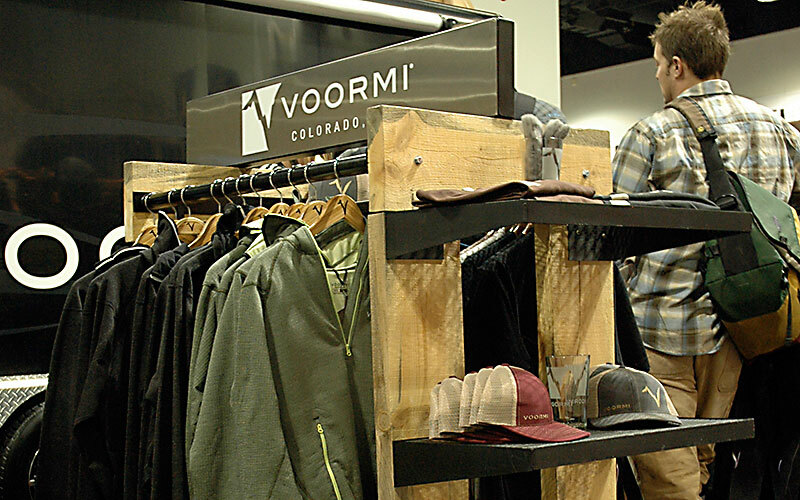 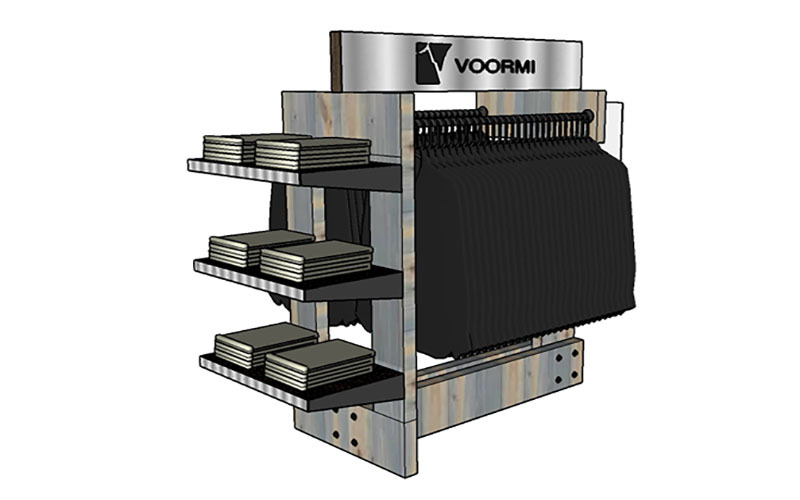 We created custom POP displays in rough cut beetle pine and raw steel that were produced in quantity to place at retail locations as well as the booth set-up. 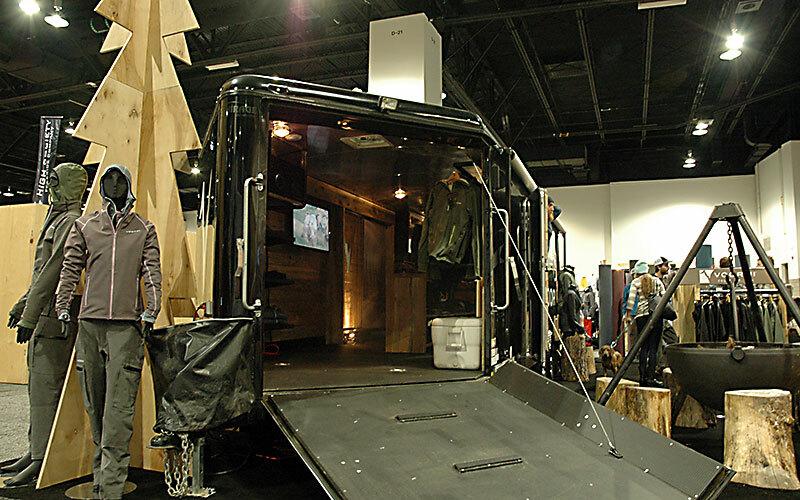 All accessories pack inside the trailer for quick mobility and labor costs at the convention facility. 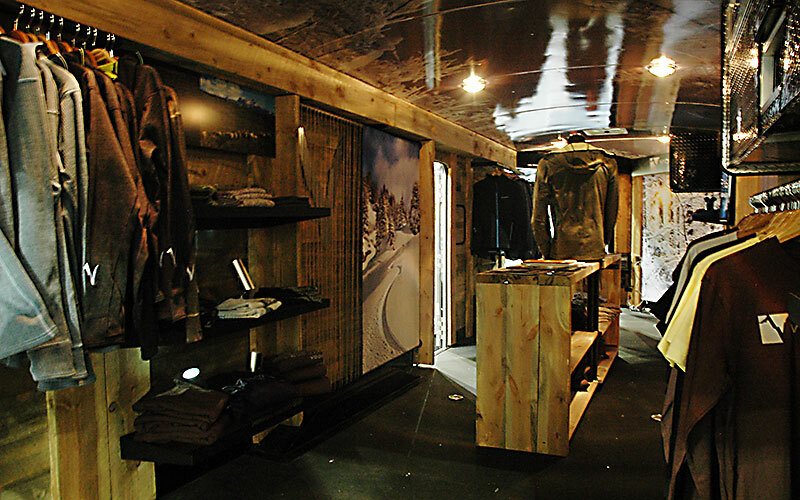 The efficiency and simplicity of the design were the perfect backdrop to highlight the apparel and product line.